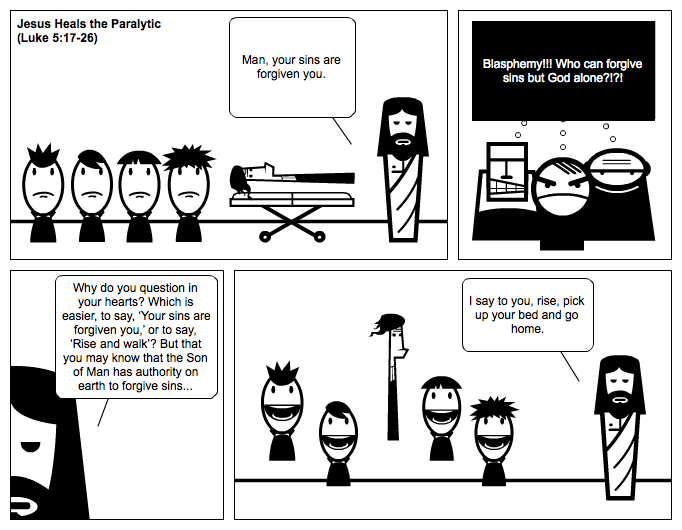 Man, your sins are forgiven you. Blasphemy!!! Who can forgive sins but God alone?!?! I say to you, rise, pick up your bed and go home.